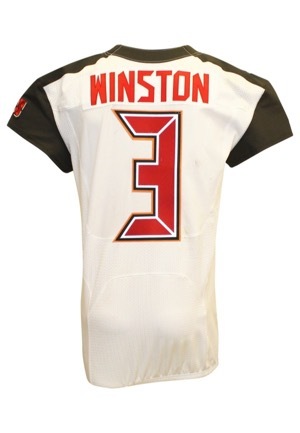 The 2015 first overall pick Jameis Winston wore this jersey on October 15th, 2017 against the Arizona Cardinals. 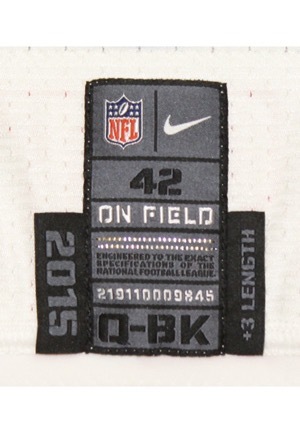 In the rear neck is the Nike manufacturer’s tag size “42” “Q-BK” with two attached flag tags reading the year “2015” and “+3 LENGTH”. On the left inseam is a flag tag with body fabrics and washing instructions. 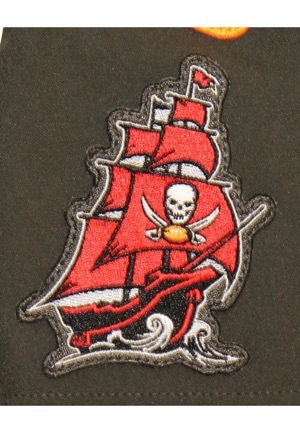 There is Nike Flyknit on the v-neck and the NFL shield patch. 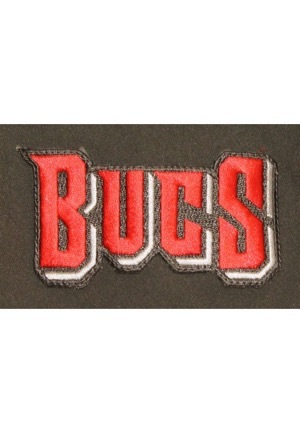 Across the front and on the back is the player number “3” done in red dotted on grey on black on orange tackle twill. The player number also appears on both shoulders in red dotted on grey tackle twill. 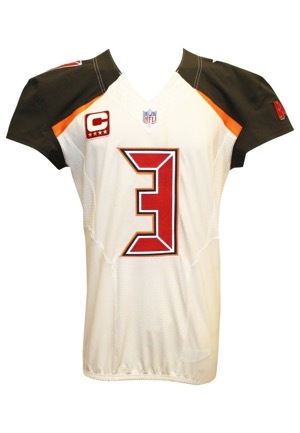 Below the player numbers on the shoulders is an orange Nike “Swoosh” logo and Buccaneers team logo patches. 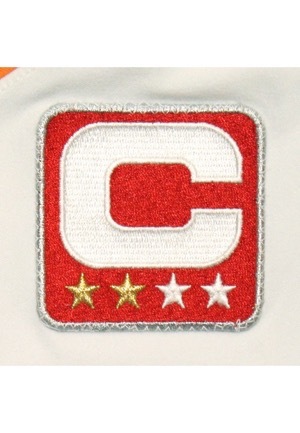 On the upper right chest is the captain’s “C” logo patch embroidered. Across the back on a white nameplate is the player name “WINSTON” in red tackle twill. This jersey is properly tagged, was presented to us as game-used and in our opinion shows appropriate use. Accompanied by an LOA from RGU confirming the match and a Photo-Match.com LOA grading the jersey a perfect 10.